Maximum print size: 25 x 25 mm. The aluminium drinks bottles (500ml) that is chosen in most cases can be selected via our website. 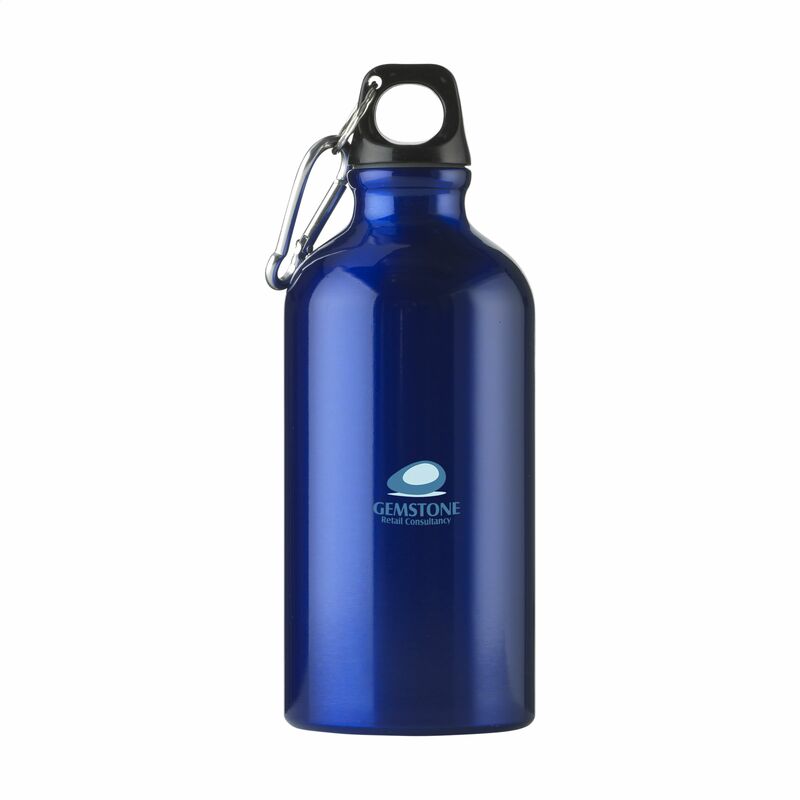 Demonstrate your attentiveness to customers with Helloprint's Aluminium Drinks Bottles! Print your company logo in laser engraving onto these professional and practical 500ml bottles that can be held comfortably in the hand and are sure to keep receivers hydrated during conferences and events; keeping them on the go. With the screw lid you won't need to worry about any water spilling onto vital documents. The sturdy metal clip is an added bonus, so anyone can save some bag space when they attach a bottle to their handbag or backpack instead. (We recommend hand washing this product).